Beat your winter cabin fever with a tasty trip to one of Boston's most historic foodie attractions. When quarters start to feel cramped, it's a good time to get your house guests out on the town. 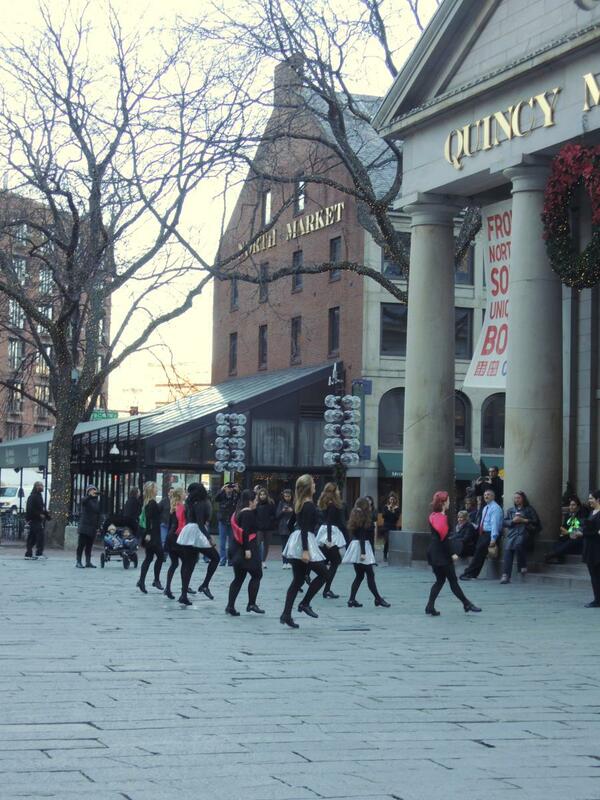 Faneuil Hall is just the answer. Yes, you'll face the tourist crowds ambling along the charming cobblestone streets. But it's worth it because you'll also find some of Boston's best local eats to help you power through a day of shopping. And you'd be hard pressed to find a more festive outdoor mall. Through January 3rd, the marketplace is decked out like the North Pole and every evening features Blink, the holiday light and sound show set to tunes from the Boston Pops Orchestra. Steve's is a fantastic first stop. Since closing its Newbury Street location, Quincy Market is now the only place in Boston to find their citrusy, salty (and locally famous) Avgolemono Soup. Chock-full of rice, chicken and egg, this hearty broth is balanced with the zippy brightness of lemon. 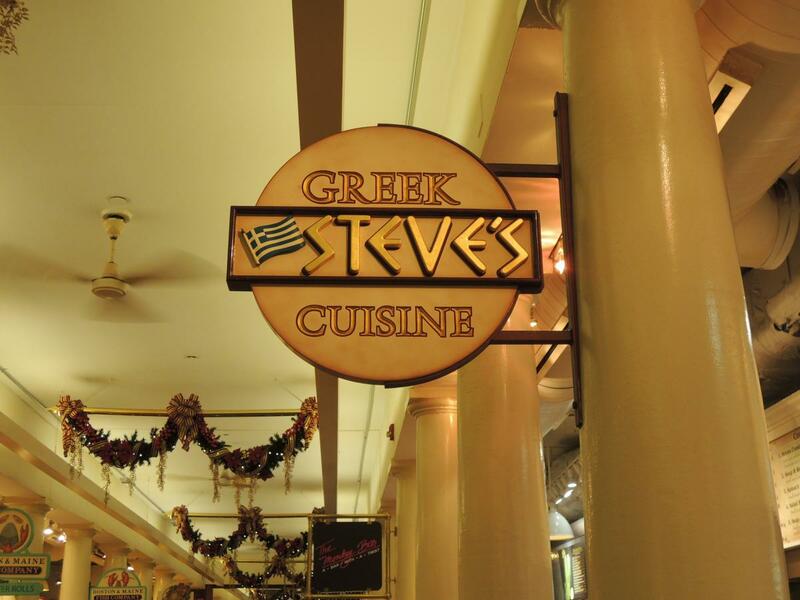 Follow the warming soup with one of Steve’s mouthwatering wraps, filled with tender, juicy meat and topped with tangy tzatziki and veggies. 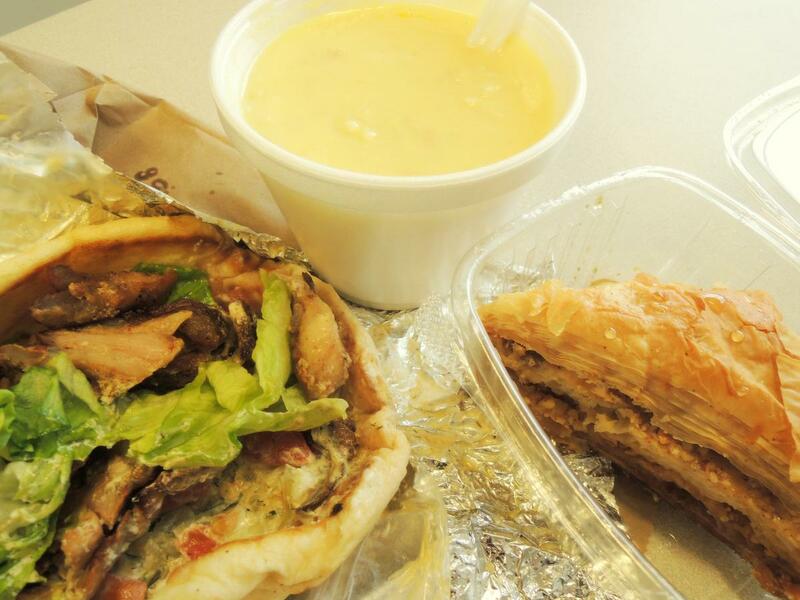 While you can't go wrong with any of the wraps — in my opinion — the gyros take the cake. The rich, meaty mixture of lamb and beef is offset by refreshing garlic tzatziki. Crunchy lettuce and onions with juicy tomatoes round out the lunchtime indulgence. And of course no Greek meal is complete without baklava. This flaky, sticky-sweet honey and walnut dessert has my number, and I'd be willing to be you won't stop at one little piece. If seafood is more your speed, stop in to the Walrus & Carpenter. This restaurant is a great place to get your oyster fix, and unlike many of the local hall vendors, it has seating! The briny, bivalve delicacies are the focus of this establishment, but chowders and lobster rolls are also on the menu, along with creamy,buttery lobster bisque to fill you up and keep you warm on a chilly winter day. And the lobster rolls here? They're often touted as some of the best in town, and loaded with sweet, tender meat on soft chewy bread with minimal fixings - the way a they should be. 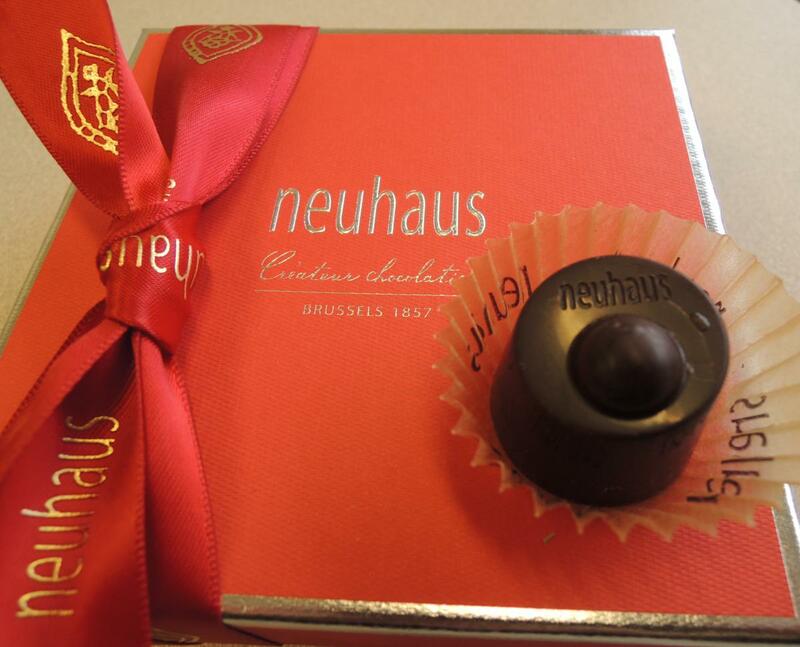 Faneuil boasts the only brand-name Neuhaus store in New England (which opened in October) selling their world-famous Belgian confections. Hazelnut lovers should indulge in their chocolates filled with the the sweet, toasty gianduja (an Italian filbert paste), or the dark chocolate ganache with grilled hazelnuts. But the nut-free Perle Dark is my personal favorite; an outer shell of dark chocolate contains a melt-in-your mouth Italian ristretto coffee ganache. You get a sugar rush and slight caffeine buzz in one bite. 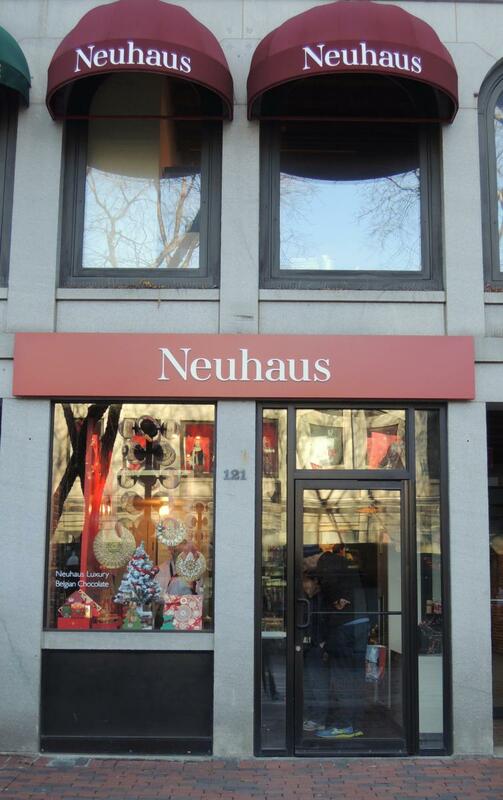 Neuhaus also offers candied chestnuts, the seasonal (and often hard-to-find) delicacy. They aren’t roasted on an open fire, but these little sugar bombs are enormously addictive. The dense, chewy meat of the chestnut is boiled and then saturated with a sugary vanilla syrup for up to two days. Aside from the classic flavoring, they have rum and cognac options as well, which balance out the sweetness. Candied chestnuts are a favorite in Europe, and can be eaten by themselves or incorporated into a topping on holiday desserts like spiced gingercake or cookies. Once your shopping bags and bellies are full and you've soaked in the sounds of the Boston Pop's set to flashing Christmas lights, it's time to head back home. Hopefully with the holiday spirit and familial harmony restored. 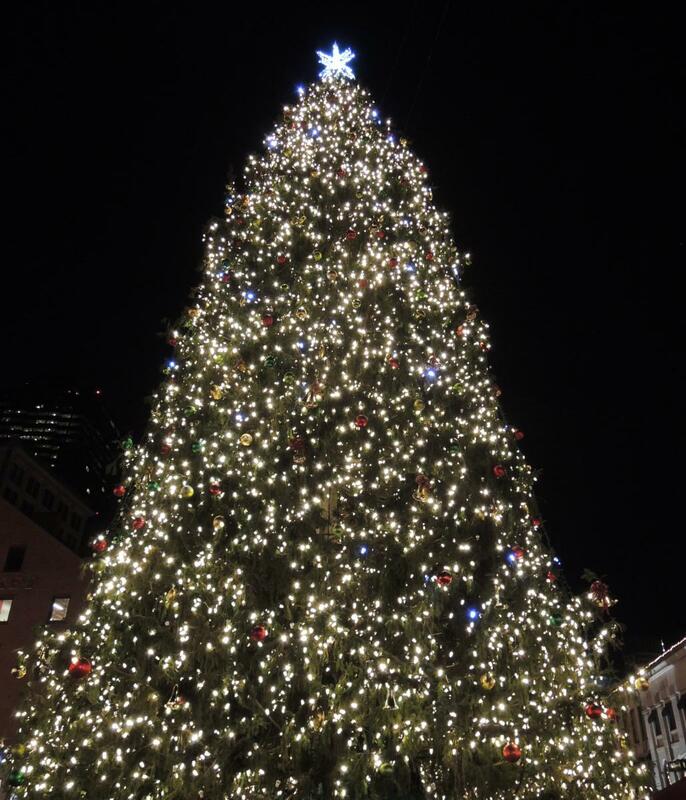 The weather may feel like mid-October, but Faneuil Hall looks a lot like the holidays.